California Aparthotel is set into its own pretty gardens and just a stroll to the bars of Hisaronu. 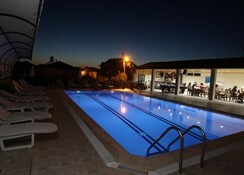 There''s a large outdoor pool with sun terrace and ample loungers. 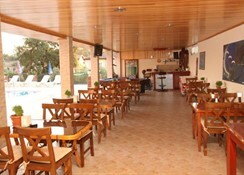 A pool and Lobby bar are available for cool drinks and guests can have a game of pool or darts. 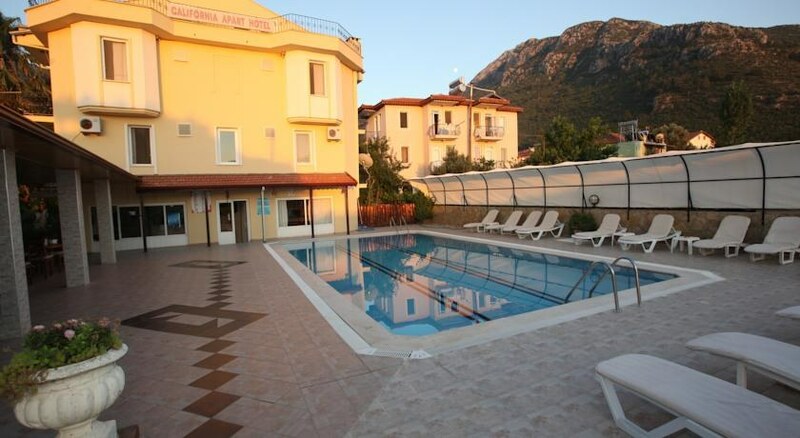 The hotel is just 150m away from regular local transport, which will take you to the beach and Fethiye. This property is ideal for those looking for a simple base from which to explore the surrounding area. The One bedroom apartments are simply furnished and comfortable with fully equipped kitchen, balcony, air conditioning (local charge), shower, television and hair dryer. 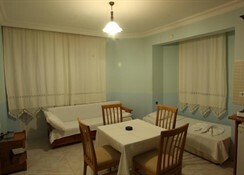 The Double rooms are also comfortable and contain a balcony, Air conditioning (local charge), Shower cabin, hair dryer and TV.